At nearly two tonnes, a suitably motivated adult white rhinoceros can cover 30m in roughly two seconds, which is a fun fact until you find yourself, as I did, standing 30m from one in the Lowveld of Zimbabwe. We had tracked the rhino, following its “spoor”, for a kilometre on foot, trying to minimise the sound of our footfalls in the dry woodlands. The sun was sinking low in the west, threatening to disappear behind a large kopje, or hill, but for now it bathed everything in a golden glow. In another setting, the romance of a warm African evening would be hard to ignore but, on this day, it was much harder to ignore the menacing presence of banana-shaped magazines curling out of LM-5 automatic weapons. We closed in on our prey with military precision, the leader of our group cradling a heavy-calibre rifle. The man worked the bolt action on the gun, chambering a .375 Holland & Holland Magnum round that, over a century, has earned its reputation as Africa’s favourite bullet for taking down big game. As we came upon a clearing, the point man held up a fist and brought us to a halt. An SSPU ranger holds up a single fist to bring his unit to a halt as they track a white rhino. There, on the other side of the clearing, was a white rhino cow, with a calf at its side. Rhinos have poor eyesight, so, positioned 60m downwind, we were virtually invisible as long as we kept quiet and still. Our scent thick in her nostrils, the cow turned towards us as she perceived a new threat. Driven by the maternal instinct to protect its calf, the rhino left the cover provided by a thicket of mopane trees and ambled towards us, crossing the clearing at a deliberate pace, but gentle enough not to dislodge the oxpecker birds sitting on its back. As this living fossil of the animal kingdom approached, the leader of our team urged us to remain motionless, his knuckles whitening against the wooden stock of his rifle. The rhino stopped 30m from where we stood and trained its improbably small eyes on our group, assessing the risk we posed to her calf. Its horn, distinctively bent, would fetch as much as US$300,000 on the black markets of South-East Asia, and an easy US$10,000 payday for a heavily armed group like ours. As the cow took its time to size us up at point-blank range, it was not hard to see how the rhino has been hunted to the brink of the extinction. Between 1960 and 1995, black rhino numbers fell a staggering 98 per cent to less than 2500, fuelled by a demand for horn that made it more valuable than gold. The population rebounded after 1995 but a recent surge in poaching has limited the comeback to around 5000 individuals, which ensures it remains critically endangered. White rhino, meanwhile, are a conservation success story, after numbers fell to less than 100 individuals in the early 1900s. Now, there are an estimated 20,000 whites but many hundreds are poached annually. Lucky for this one, we were not hunting rhino but rather any poacher foolish enough to seek his fortune within the borders of the Save Valley Conservancy. At more than 300,000ha, Save Valley is one of the largest private game parks in Africa, and home to a key black rhino breeding population. Of course, this protective cow didn’t care about that, nor was it impressed that one of our group was Nicholas Duncan, the man who is largely credited with preventing the extinction of white and black rhinos in Zimbabwe. All this majestic creature cared about was how close we were to its calf. Too close, evidently, because it lowered its head and charged. How we're saving a critically endangered species on the other side of the world. Bravely facing down the imminent danger, Bryce Clemence, head ranger of the conservancy’s Special Species Protection Unit, shouted at the cow and waved his arms in a last desperate attempt to avert what would surely be a fatal confrontation. Incredibly, it worked, and the cow veered to the right at the last minute, eventually coming to a halt at a safe distance, next to its calf. No one in our group was more relieved than Nicholas Duncan, the founder of the Save African Rhino Foundation, a Perth-based conservation charity. The British ex-pat first travelled through this part of Africa in the early 1970s, when he was a geography teacher in search of real-world experience to bring back to his students. Duncan never made it back to the classroom, instead landing in Western Australian, where he started a successful business distributing massage products. He might still be doing that today if it wasn’t for an article he chanced upon in The Sunday Times in 1987, spruiking African safaris to raise money for rhino, which, at the time, were the most endangered large mammal on Earth. Inspired, he attended the information seminar mentioned in the article and, within 24 hours, had convinced 12 fellow attendees, all complete strangers, to join him in forming what would become the precursor to SARF. “If the article said the hippo was in the poo, or the zebra was in the poo, I’m sure it would have been the hippo or the zebra we tried to save,” he said. More than three decades later, Duncan is the longest serving boss of any rhino conservation group and has raised nearly $10 million, mostly from WA donors. Save African Rhino Foundation chairman Nicholas Duncan inspects snares that were confiscated by rangers in the Save Valley Conservancy. The snares are used to trap animals for meat and trophy poaching.Picture: Ben O’Shea. And now he hosts his own safaris to Zim, which provide valuable funds and give supporters a chance to meet the rangers who risk everything so our kids can live in a world with rhino. “For $100 we can buy a fancy GPS watch, for $30 we can buy a pair of boots, so all these little things make life more bearable for a man who is prepared to put his life and his balls on the line on behalf of the world,” Duncan said. The day before our rhino encounter, Duncan had travelled from Harare to Save Valley, a six-hour drive that offered a fascinating insight into the political situation in Zimbabwe and how the turmoil helps crime syndicates recruit poachers. After a bloodless military coup toppled president Robert Mugabe in 2017, there was hope his successor, Emmerson Mnangagwa, would lead the country back to prosperity after decades of mass unemployment, a HIV epidemic and runaway inflation. But, so far, Mnangagwa, who is associated with some of the worst atrocities of the Mugabe era, has failed to deliver. As we drove through the streets of Harare, past jacaranda and bougainvillea in bloom, we knew a cholera outbreak had taken dozens of lives elsewhere in the city. In Mutare, a pretty regional centre along the road to Save Valley, cars formed kilometre-long queues at petrol stations amid a nationwide fuel shortage. Hard currency was also in short supply, and shoppers in a local supermarket paid grocery bills with EcoCash, an app-based payment system. Hyperinflation crippled the country in 2008 and many fear its return. During that week in Zim, its de facto currency, the bond note, went from a street value equivalent to that of the US dollar to one-fifth of the greenback’s worth. The highway we drove along was once lined with the fertile farmland that made Zimbabwe the food bowl of Africa. Those valuable crops disappeared when white farmers were evicted by Mugabe, who then divided the land into small plots suitable only for subsistence agriculture. Given to military veterans and supporters of the ruling Zanu-PF party, many of these tiny farms failed. In an environment where hope is even more unattainable than hard currency, it is no wonder organised crime gangs are able to recruit would-be poachers. As dawn crept over Save Valley the next day, Lara Clemence started her day by boiling the kettle. Her toddler Bethany, also an early riser, followed her around the kitchen. Their house, paid for in part by funding from the Australian Embassy in Harare, sits on the edge of a narrow band of sand that will turn into a river when the rains come. For now, it is a convenient thoroughfare for a troop of baboons that live on the far bank. As the kettle started to boil, the baboons were joined by skittish impala in what is a daily procession up the dry riverbed. With tea in hand, Lara now followed Bethany; the little girl was on a mission to wake her dad, Bryce. The head ranger savours these idyllic family moments because he knows the rest of his day will be spent fighting a war against rhino poachers. “Why do we do it? Well, we believe that very few people have the skill set to do this work,” he said. Later that day, Clemence was behind the wheel of a well-travelled LandCruiser, bouncing along one of the myriad tracks that criss-cross the conservancy. As he drove he recalled a terrifying ordeal in 2012, just months after he started the SSPU at Save. He and another ranger, Colin, had come across the tracks of poachers in pursuit of a big bull rhino. Little did they know they were hot on the heels of Tavengwa Mazhongwe, a poacher of almost mythical status in the region, who had killed an estimated 150 rhino since 2007, and survived at least eight gunfights. “We walked straight up behind them and, at 70m, which is very close for an AK-47, they opened fire on me and Colin and the bullets came past our heads,” Clemence said. The rangers hit the ground, finding what little cover they could as bullets cut the air around them. Unsighted, they returned fire but the poachers had the advantage of high ground. “You don’t want to put your head up, it’s not like the movies, it was the longest half hour of my life,” Bryce said. While Colin radioed for back-up, Clemence lay there wondering if the poachers would come down from the kopje and shoot them at point- blank range. After what must have seemed an eternity, four SSPU rangers arrived on the scene and laid down covering fire to allow Clemence and Colin to perform a tactical retreat. As night fell, the rangers closed on the kopje but found the poachers had fled. Well, all except two — one badly injured, by fluke, in the rangers’ opening volley of shots and another who had broken his femur while trying to escape over the rocky ground. “Our return fire was perfectly in his direction and we actually smashed his legs with our bullets,” the Zimbabwean said. Though the injured men ratted out the rest of their gang, local authorities, notoriously bad at punishing poachers, let them off with a slap on the wrist. Determined to be one step ahead next time, Clemence turned to his father, Pete, who had been a counter-insurgency specialist in the now-defunct Rhodesian Army. These days the SSPU boasts a dog team and employs drones to track poachers in situations where rangers would be at a tactical disadvantage. And a great emphasis is placed on intelligence gathering outside the conservancy. “We picked on a guy that was well connected and that we thought had the ability to infiltrate Mazhongwe’s gang,” Clemence explained. In late 2015, three years and a number of dead rhino after that first shootout, Clemence’s informant was finally embedded deep enough to know when and where Mazhongwe was hunting. Unfortunately, a carefully laid ambush was undone when local police fired too soon and blew the operation. “After that, everyone thought this guy had special powers; he went to a witch doctor and the locals believed he had spiritual powers to avoid capture,” Clemence said. But the breakthrough came a few weeks later when Mazhongwe was arrested in the nation’s capital and brought to Save Valley — face to face with the conservancy’s head ranger for the first time. “He knew everything about me. And we had a lot of respect for his bush craft, he was incredibly tough and smart, but we’d seen all of these horrible cases of dead rhino and we wanted him at all costs,” Clemence recalled. Mazhongwe admitted to killing three rhino, a small fraction of what he was suspected of, but that was enough for a Zimbabwean court to give him 45 years in prison, one of the longest sentences ever handed to an African poacher. “We were worried that if we did catch him at some point he would probably snivel out of prison, so this was a big victory,” Clemence said. An even bigger victory is writ in rhino numbers, which have doubled in the area since Mazhongwe was put behind bars. Even now, the head ranger can hardly contain his satisfaction at the result, but the emotion is inextricably linked to one of his darkest days on the job. Clemence was among the first on the scene when a rhino the rangers called Maria was found dead in 2016, her body riddled with AK-47 bullets. “Maria’s face was hacked out by an axe, there was a massive pool of blood, and it had bubbling holes all over its body; the bullet holes where gas from the decay was starting to push out,” Clemence said. Reading the signs left in the dirt by the rhino and its attackers, Clemence determined the poachers had fired on the animal while it was asleep, peacefully laying next to the calf it had given birth to five days earlier. The cow bolted in terror, taking more bullets as it ran, eventually falling to the ground, while the poachers hacked off its horns while it was still alive, an axe cutting deep into its sinus cavity. Despite its horrific injuries, the rhino got up one final time. “Because it had a calf, it didn’t want to die,” Clemence said. The memory of this rhino’s suffering, and the cruelty of the men who inflicted it, motivates Clemence to this day. “Knowing the guys that had butchered that rhino in such a graphic and gruesome way got proper sentences is a fantastic feeling,” the ranger admitted. At first glance, Massingir is just another dusty border town in southern Mozambique, less than 100km from the Kruger National Park in neighbouring South Africa. Then you notice the luxury vehicles. Then the big houses, conspicuous in this impoverished part of Africa. There is a correlation between these displays of wealth and Massingir’s proximity to Kruger. Over the past two years, nearly 1000 rhino were poached in Kruger, with many of those killings commissioned by crime kingpins in Massingir. And it’s not just Kruger — from their palaces, these men dispatch small teams of gunners to hunt rhino in the wildlife reserves of Mozambique’s other major neighbour, Zimbabwe. If the poachers are successful, the horn travels back across the border, increasing in value as it is passed between middle men, until it leaves the country via the port city of Maputo, bound for China and South-East Asia. While the horn has long been prized in these countries for its mythical medicinal qualities, the numbers suggest there is more to the story. Before 2007, the demand for rhino horn in Asia was declining but, in the years since, it has soared, resulting in a staggering 9000 per cent increase in rhinos poached. When Lynn Johnson started researching the illicit trade in rhino horn in 2013 she was aware of its use in traditional Asian medicine. What she discovered, however, was the exponential growth in poaching was fuelled by its status as a luxury good and bargaining chip for businessmen in places such as Hanoi and Ho Chi Minh City. Among the Vietnamese oligarchy, rhino horn is given as a gift to secure funding for real estate developments, or ground into cups of rice wine and drunk to celebrate the conclusion of a deal. “They’ve all got their Rolexs, they’ve got their Bentleys, they’re after luxury goods that differentiate themselves from their peers,” Dr Johnson said. She travelled to Hanoi and interviewed some of these businessmen, who openly discussed owning poached rhino horn because they knew they were above the law. 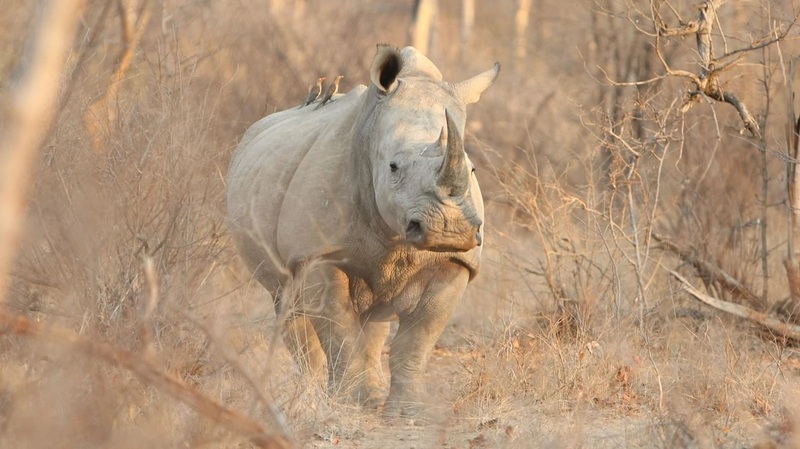 “All I could do is say I wanted to understand what rhino horn can do for you. I was trying to understand what motivated them to use rhino horn and what could motivate them to stop,” Dr Johnson said. The men didn’t care about the plight of the critically endangered black rhino, or the human cost of horn trafficking. Some even admitted to asking for the ears and tail of the rhino to be supplied with the horn, like a macabre certificate of authenticity to prove the animal had been killed and was not part of any effort to farm the keratin-based horn. The experience convinced Dr Johnson that existing conservation messaging, focused predominantly on debunking the medicinal myth, would be ineffectual with this cohort. “They already know it has no medicinal value,” she said. Frustrated the out-of-date messaging was slowing perception change, Dr Johnson realised tackling the poaching problem meant treating rhino horn like any other luxury commodity. As Breaking the Brand (now under the auspices of the Nature Needs More charity), Dr Johnson placed ads in magazines such as Forbes Vietnam to reduce the desirability of poached horn. “There’s only two reasons they’d stop: if it had a negative impact on their health or if using it in business had a negative impact on their brand and reputation,” she said. While this strategy is starting to gain traction, Dr Johnson believes there is another problem much closer to home. “It is very clear that Australia is becoming a transit route for horn from the African continent through to Asia,” she said. Nicholas Duncan, meanwhile, is back in WA and, after the vastness of Zimbabwe’s Lowveld, the larger-than-life chairman of the Save African Rhino Foundation looks a little cramped as he sits at a desk in a tiny office behind a bar in Leederville. Piles of documents cover every available surface and one would be forgiven for thinking the workspace belonged to an accountant with a hoarding problem. The only clue it is the nerve-centre of the most important rhino conservation charity in Zim are the framed photos on the wall. Photos of sports stars — cricketers such as the great Dennis Lillee and former England Test captain David Gower, as well as Wallaby David Pocock — adorn the walls, depicting the men playing in charity matches in Harare or attending SARF fundraisers in Perth. Ever the pragmatist, Duncan said the plight of the rhino isn’t enough to sell tickets to a gala event, you need the celeb factor. So, he has worked tireless over more than three decades to secure big-name ambassadors, such as Gower and Pocock; hall of fame golfer Nick Price and the late Bryce Courtenay, author of The Power of One. “I stood in a queue out at the Morley Galleria to get a book signed,” Duncan said of Courtenay. While he admits it is “rather unusual” to fight poachers from Perth, the 74-year-old has no intention of stopping anytime soon. Many years earlier, a book on wealth creation instructed him to sink the profits of his massage business into real estate and he has no qualms about liquidating some of his property portfolio to top up SARF funds. Putting up $2 million of his own has only emboldened Duncan to solicit more money from others but it has also greatly reduced his tolerance for NGO bureaucracy that all too often absorbs vital funding that should be directed where it is needed most. As a result, he prefers to run his own race rather than throw his lot in with other charities working in the same space. “They take it for granted, they must think I’m some offshoot for the Australian Government with unlimited resources, instead of someone who has to beg, cajole and manoeuvre to get anything,” he exclaimed. “But it doesn’t deter me, nothing will deter me. If 500 rhinos were wiped out overnight, I wouldn’t say, ‘OK, game, set and match’, I’d be furious, broken hearted probably, but I wouldn’t give up. Duncan is confident of at least 10 more years of “active duty”, although admits he will personally run out of funds before then if he continues to give it away at the current rate. Regardless, when all is said and done, his legacy as a giant of rhino conservation will be assured. “I would hope to think people who read this say this is a man who made a promise in his heart that he would do something worthwhile and significant,” Duncan said. “A lot of people say they are here to make a difference but I think I can probably say that I have made a difference. There are rhinos that wouldn’t be around if it wasn’t for this organisation in this piddly little office. Save African Rhino Foundation has a fundraising gala with Dennis Lillee at the Hyatt Regency on April 3. To secure a ticket, call 9444 6550 or visit savefoundation.org.au. 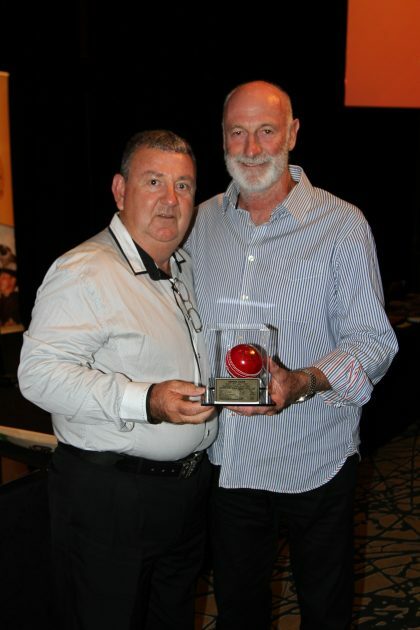 ← Dennis Lillee to be guest of honour at upcoming fundraiser!